Coca-Cola will launch its first energy drink under the Coca-Cola brand, putting it in direct competition with the likes of Monster and Red Bull. 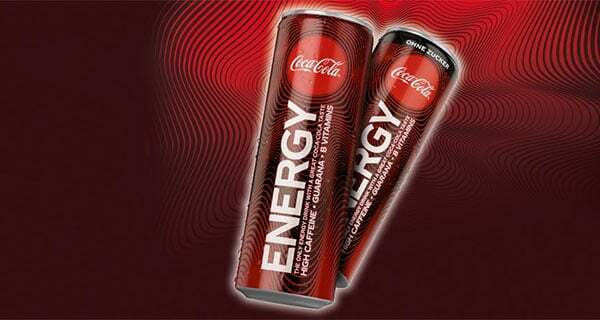 Coca-Cola Energy, which will debut in Spain and Hungary this month, combines naturally derived caffeine, guarana extracts and B vitamins. It contains 80mg of caffeine per 250ml – so more than three times as much as regular Coca-Cola. The company will also offer consumers a zero-calorie, zero-sugar option – both packed in 250ml cans. The launch is so contentious that Monster, the energy drink company in which Coca-Cola holds a 16.7% stake, is in the midst of arbitration over Coke’s decision to launch an energy drink. The company claims that it violates the 2015 agreement between the two firms in which Coca-Cola first invested in the business. Coke already developed energy drinks like Relentless and acquired others like NOS – but those, and the rest of its energy portfolio, were transferred to Monster as part of that 2015 agreement. Meza said that the Energy product would launch in additional countries through 2019 and 2020, mainly in Europe, with further announcements to be made in course. Launching into new categories like energy drinks is an important milestone in Coca-Cola’s efforts to establish itself as a ‘total beverage’ company, much as PepsiCo is more reliant on its snacks than its soft drinks. That is to say, trademark Coca-Cola volumes are falling, so the company wants to diversify its revenues as much as it can. “If we embrace where the consumer is going, our brands will thrive and our system will continue to grow,” he said. Quincey has previously refused to rule out a foray into alcohol – and indeed the company did launch its first ever alcoholic product for the Japanese market – while his ‘total beverage’ vision is epitomised by several recent launches.